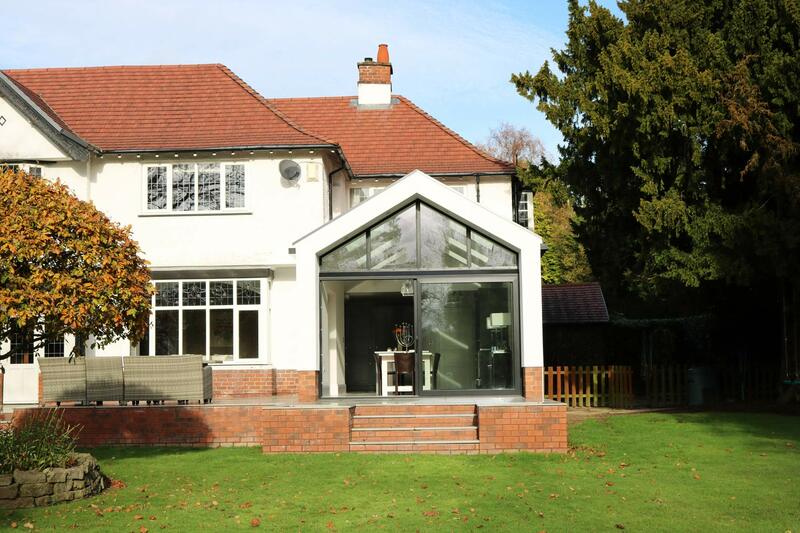 Artform Architects were appointed to replace a dated and badly designed conservatory and with a new, contemporary extension to the rear of a large period property set in a well landscaped garden in Wilmslow, Cheshire. 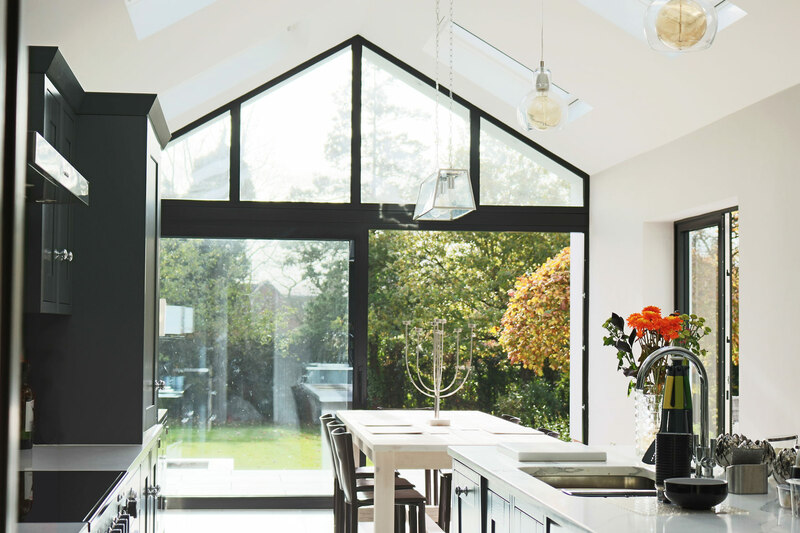 The new extension was to form an open-plan kitchen/diner and connect through to an adjacent living room by removing the wall between and the chimney breast. 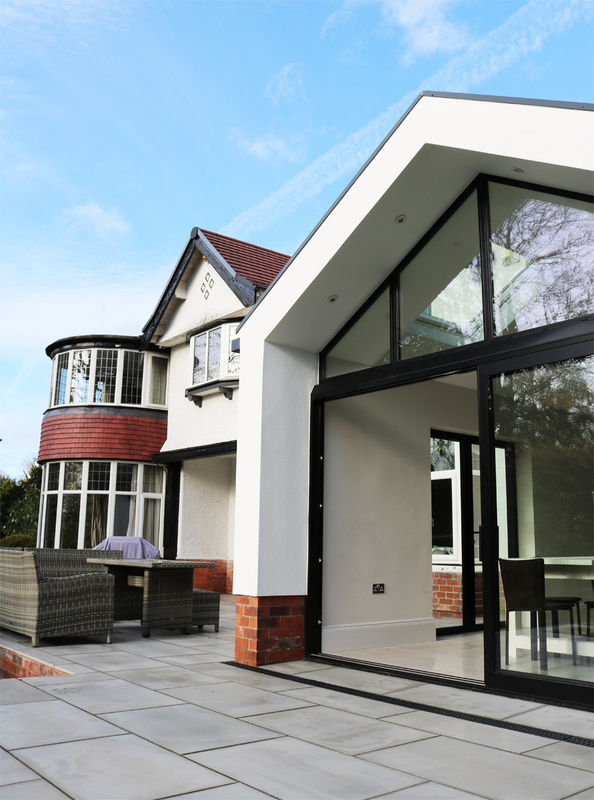 The design creates one large family space at the rear of the house and maximises views out to the south facing garden. 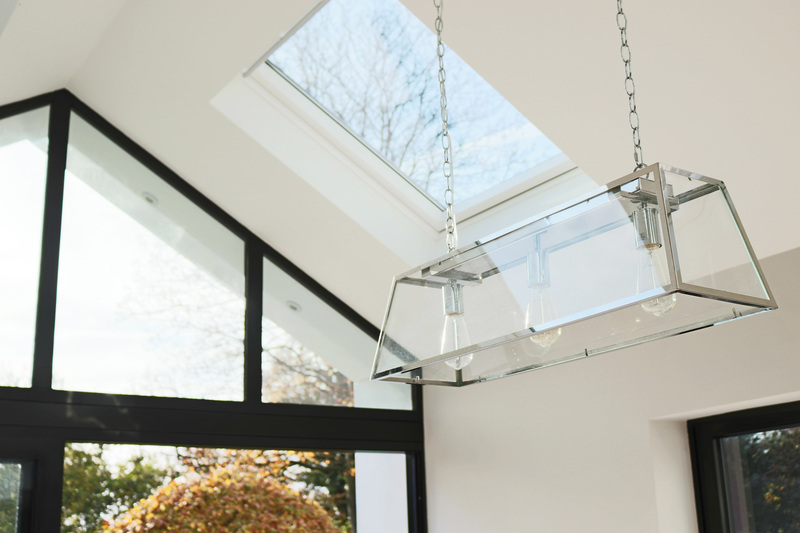 A new utility room is also created off the kitchen. 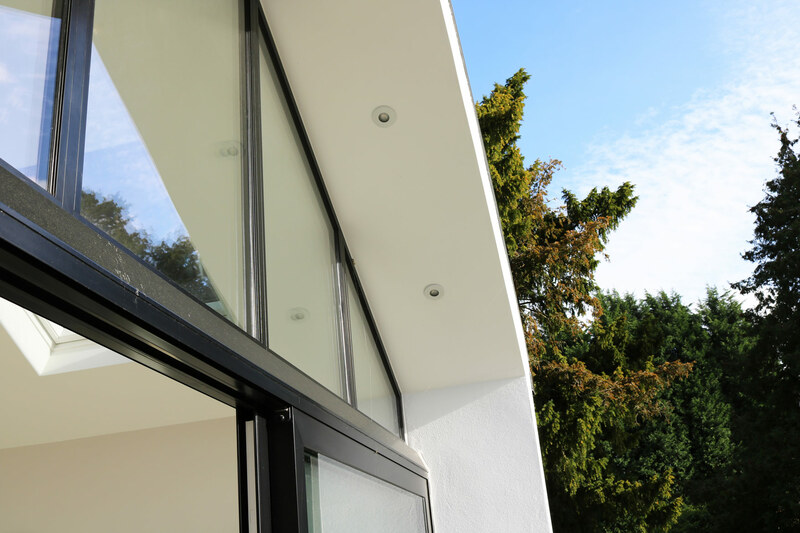 The new house extension has a pitched roof to tie in with the appearance of the existing property with a ceiling open to the apex so as to create a double height space with 6 rooflights above. 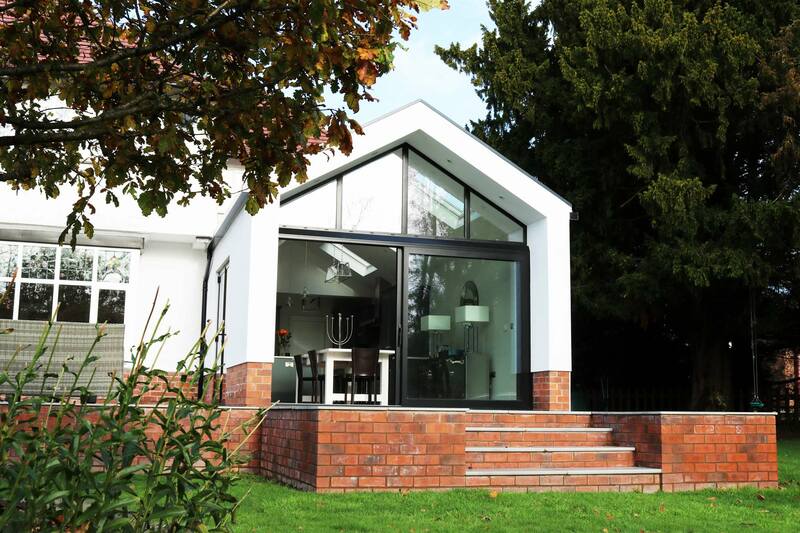 The gives the space a light and airy feel and enables the gable end facing the garden to be fully glazed, with a large sliding door providing access out to a new paved terrace. 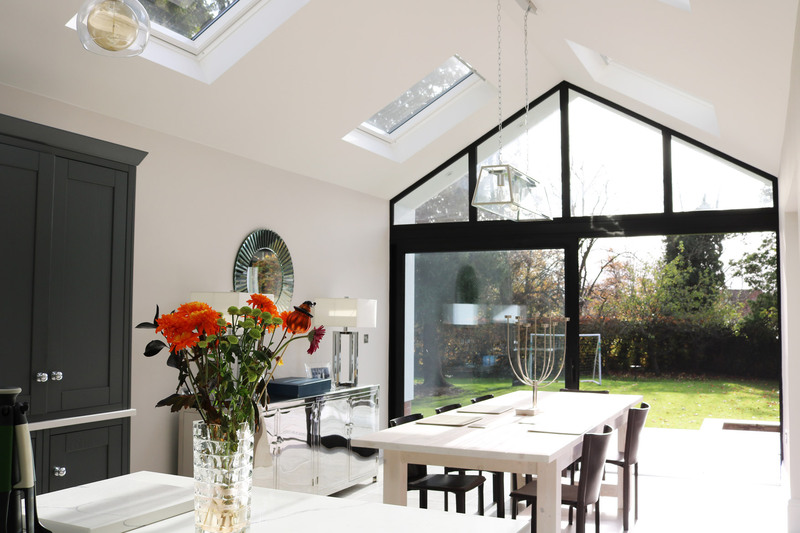 This helps to blur the boundary between inside and out and fully connects the kitchen/diner to the garden.